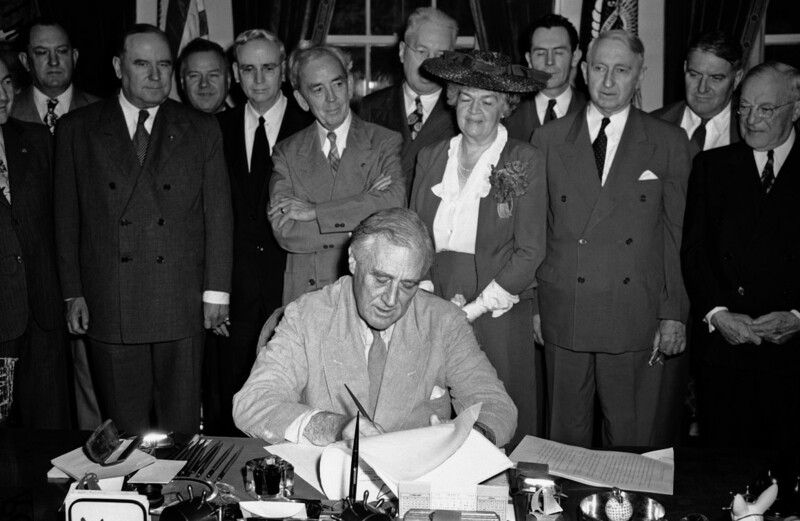 On June 22, 1944, President Franklin Delano Roosevelt signed Public Law 78-346, the Servicemen’s Readjustment Act of 1944, to provide sweeping new benefits to World War II veterans. The law has been commonly referred to as the “G.I. Bill” since then. It elevated the VA to a war essential agency, second only to the War and Navy Departments (at the time), giving it elevated priority in funding, etc. Before the 1944 G.I. Bill became law, training and educational opportunities were limited to disabled military veterans who were injured during their service. Beginning at the National Home for Disabled Volunteer Soldiers (VHA origins), established in 1865, disabled veterans were trained in new occupations as their interests and abilities allowed. Veterans were taught trades such as telegraphy, plastering, or gardening as residents at the National Homes. There was no education opportunities or benefits for them outside of the National Home. Congress authorized funds for farming or manufacturing operations at the National Homes as both a means to supply necessary food, supplies, and services to the Homes and as occupational endeavors for its residents. By 1875, veterans at the National Homes were engaged in cigar-making, knitting socks, printing and bookbinding, shoe-making, wagon-making, iron work, plumbing, building steam engines, tin-smithing, tailoring, bread baking, breeding and raising livestock, cabinetry, and much more. They often sold items to the public in the Home’s commissary and were paid for their labors. In 1918, the Federal Board of Vocational Education established a rehabilitation division for disabled World War I veterans. The Board worked with states, local business, and vocational schools to provide veterans with training for new occupations such as farming or teaching. By 1922, over 156,000 disabled World War veterans had entered 445 trades or professions. VA received 83,016 applications for education benefits: of those, 75,272 were eligible, 35,044 entered courses, and 22,335 were in training. VA received 15,455 applications for home loan guarantees: 12,228 loans were made in the amount of $19,644,824.90 for 11,220 home loans, 270 farm loans, and 738 business loans. By 1951 8,170,000 veterans had attended over 1,700 schools and colleges at a cost to the Government of $14,000,000,000. 3,430,000 were able to finish high school; 2,350,000 went to college; 1,630,000 received on-the-job training, and 760,000 obtained on-the-farm training. 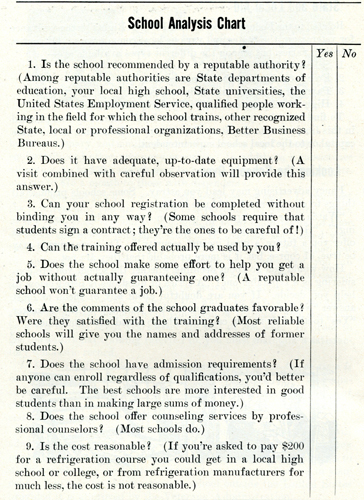 In 1944, educators were skeptical about the bill, but by 1951, they had nothing but praise for the bill’s success in educating millions of veterans who could not have afforded to do so on their own. The G.I. Bill was authorized and implemented under General Frank T. Hines’ administration at VA. Since 1944, educational benefits of some form have been provided to military veterans of every war America has participated in.